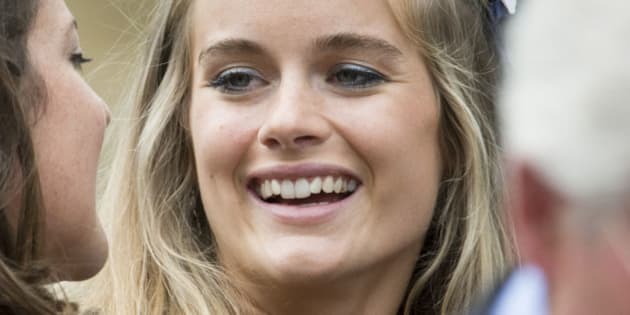 Cressida Bonas is hardly a household name around the globe like her counterpart Kate Middleton, but that may soon change if her boyfriend, Prince Harry, finally pops the question to the British socialite. If the rumour mill is correct, the 29-year-old younger brother to Prince William is very warm to the idea of marrying the 24-year-old dancer and model, and a wedding could be imminent. "Harry never stops talking about marriage and children, and she has now got used to the idea. The wedding is likely to take place next year," one of Bonas's friends told The Telegraph. This weekend, Prince Harry — dubbed the world's most eligible bachelor — was in Sydney for his first visit to Australia where he was met with a massive celebrity-style reception. Naturally, Bonas was not always keen on the idea of marrying so young, but her friends say Prince Harry's persistence is working. When he was sent to serve in Afghanistan in November, the Telegraph reports that the pair spoke regularly on the phone during his four-month posting, and picked up right where they left off upon his return, being spotted at both a concert and musical together in the last week. Bonas, a graduate of Trinity Laban Conservatoire of Music and Dance, also comes from a prominent and artistic family, a quality Harry is said to admire. The Bonas family has direct links to Edward VII, says the Telegraph. Her mother is Lady Mary-Gaye Curzon, a 1960s “It girl” and daughter of the 6th Earl Howe. Her father is Lady Mary-Gaye’s third husband, the businessman Jeffrey Bonas. The list goes on. One of her half-sisters, Pandora, is an accessories designer for Vivienne Westwood while another half sister recently, Isabella (Prince William's ex girlfriend), married Sir Richard Branson's son. Apparently, Kate is not a big fan of Cress because of the awkward Prince William connection. “Cressie and Isabella could not be closer. Where she goes, Bella goes," a source told The Hollywood Gossip. We're hoping it doesn't come down to petty sister-in-law rivalry.